When you see the clouds lift from the foothills of Los Angeles after the rain, it’s easy to forget the steady trudge toward dystopia that animates the beautiful city we live in. But as Will Ivy’s serrated guitar lines introduce Flat Worms’ new Into the Iris EP, you’ll be shaken out of your stupor and awakened to your true surroundings. (And they ain’t pretty.) Into the Iris holds a tangible weight—a weight that suggests progress isn’t growth and advancement alone isn’t a singular achievement. Iris is the fever dream that Raskolnikov suffers, the result of all that is solid melting into air. It’s equal parts protest, post-impressionist imagery, even reactionary as it responds to the world around it—it’s a culmination and a dismantling at once. Justin Sullivan’s urgent, machine-precise drumming and Tim Hellman’s linchpin bass—especially when matching the furor of Ivy’s guitar work—feel like a train bearing down on you in a tunnel. Imagine, if you would, the Dead Boys without the blatant nihilism. Into the Iris is an epicenter, radiating the contradictions and ambiguities of living in search of some type of hope. It’s a counter to the upheaval of the day, where possibility teeters at the brink of destruction and disruption is the defining characteristic. 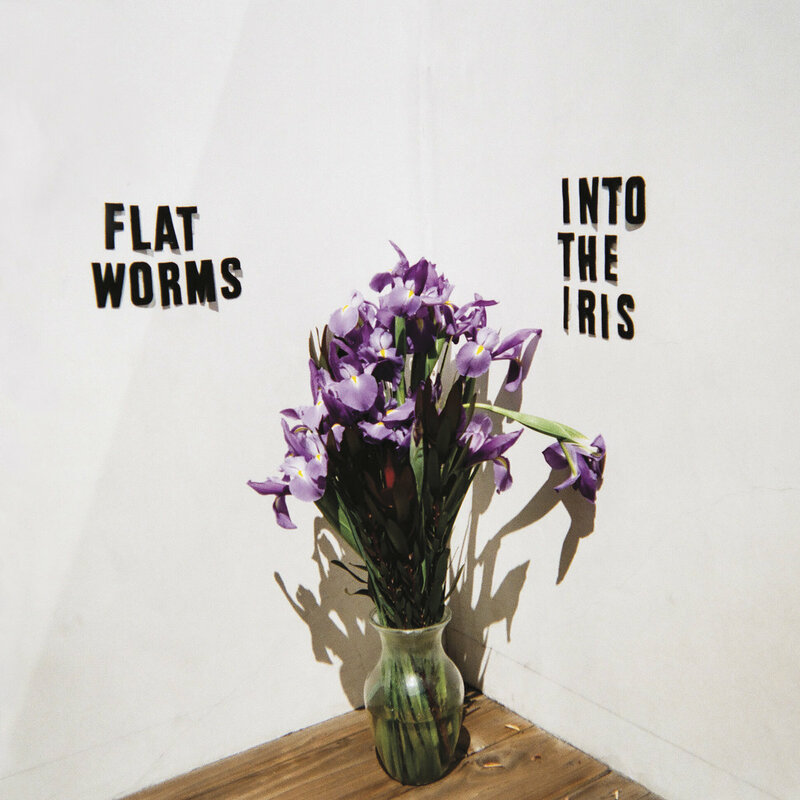 FLAT WORMS’ INTO THE IRIS EP IS OUT FEB. 8 ON GOD?